I have previously written about Christmas markets, namely the ones in Munich that I liked best. 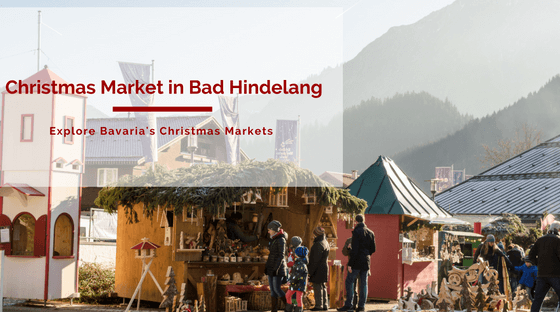 Last weekend I took a day trip to one in a town farther away but equally great: Each year for about two weeks the cozy town Bad Hindelang in the beautiful Bavarian mountains welcomes its guests for the Christmas Market Bad Hindelang. 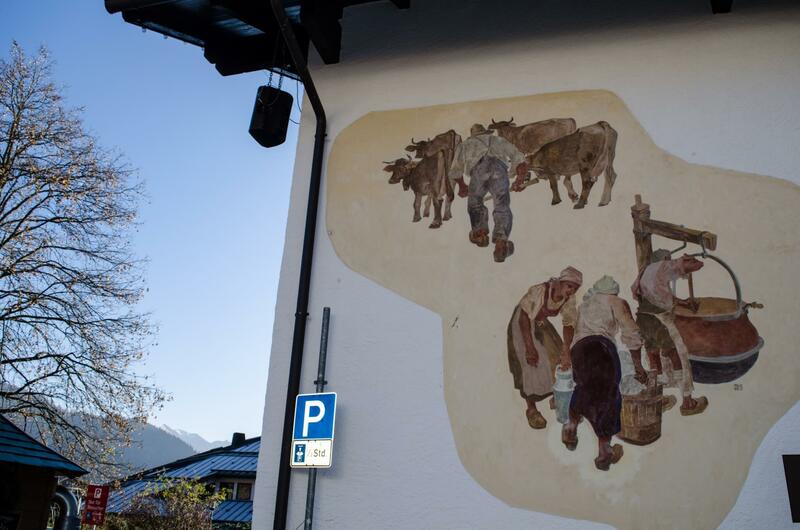 Bad Hindelang is a rather small town in the Bavarian mountains. 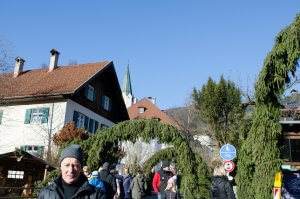 Its Christmas market spans over the whole center of the town with most streets closed off for traffic. You’ll have to pay an entrance fee (app. 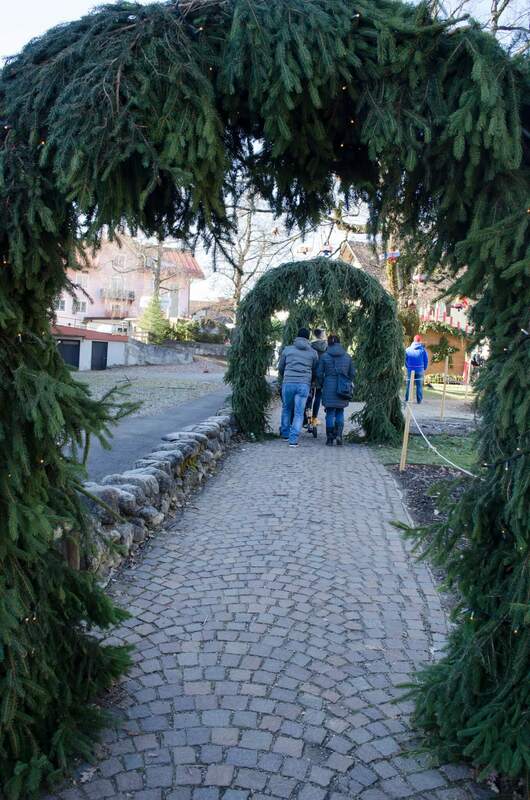 5€) to get in, but they offer a lot of special activities as well which makes the Christmas market to a true experience. 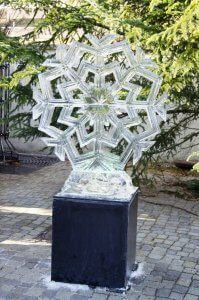 It is held during the first two weeks of December (over 1. and 2. 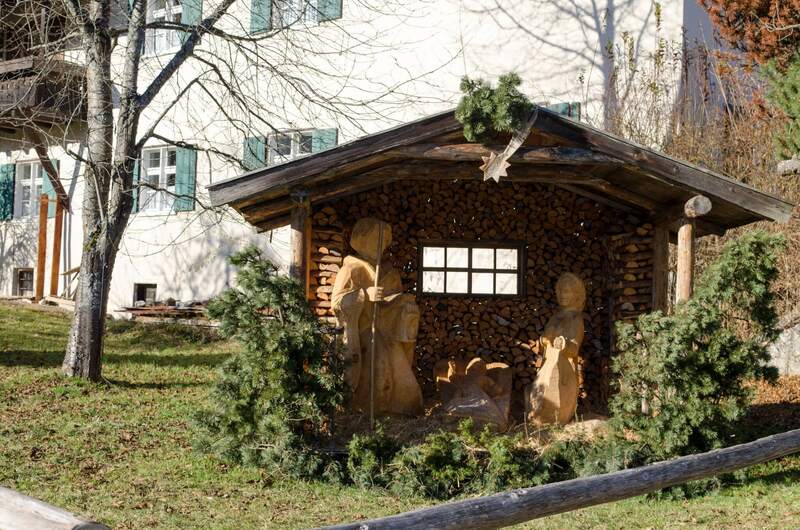 Advent weekend). 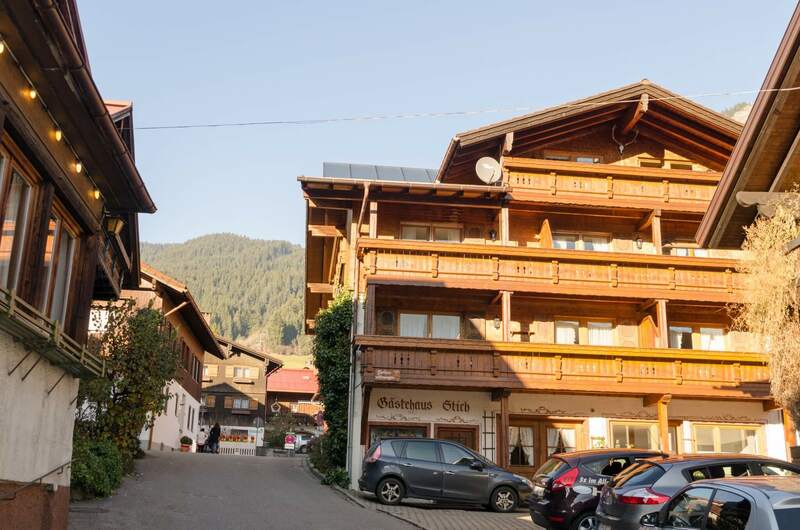 If you prefer a quieter athmosphere, it might be better to go during the week as weekends and especially evenings can get extremely crowded. I’d advise you to either go around lunch time and have lunch there (the food is amazing) or on a week night to see all the lights there. 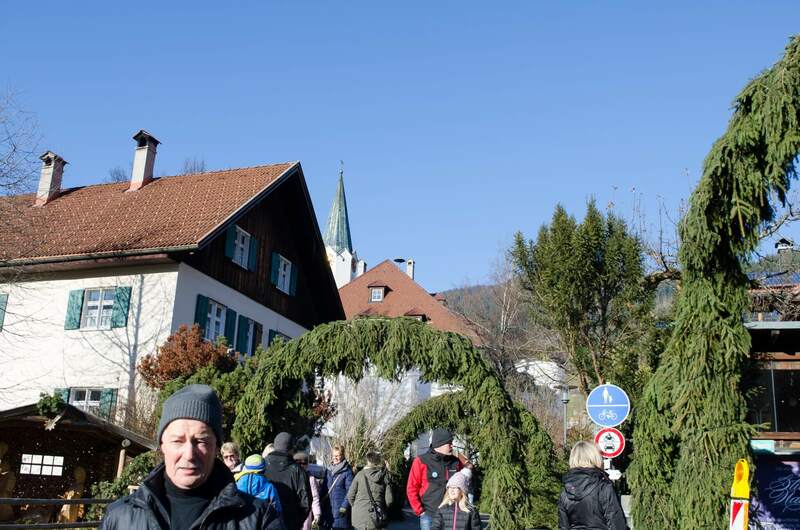 Bad Hindelang doesn’t have its own train station, so the closest one would be Sonthofen. It can be reached easily from Munich and any other bigger city in Southern Bavaria. 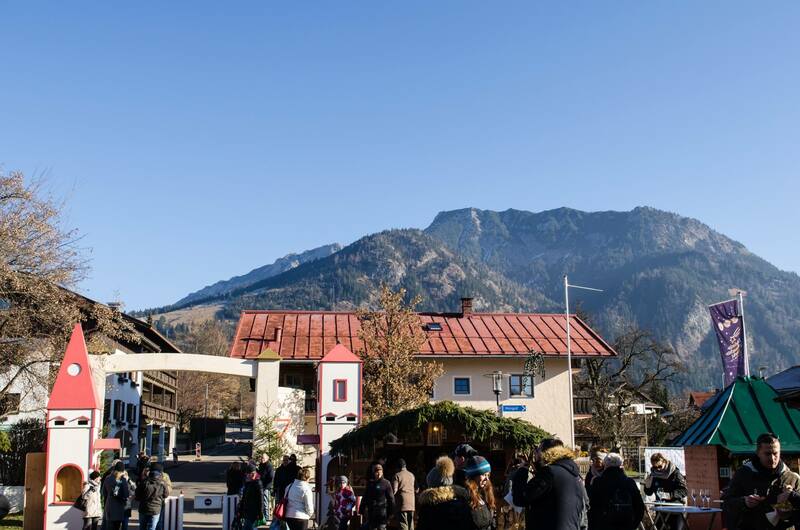 From the train station, simply take one of the shuttle buses that run every 30 minutes and drop you off right in front of the Christmas market Bad Hindelang. If you decide to drive there, please note that apparently parking is limited. 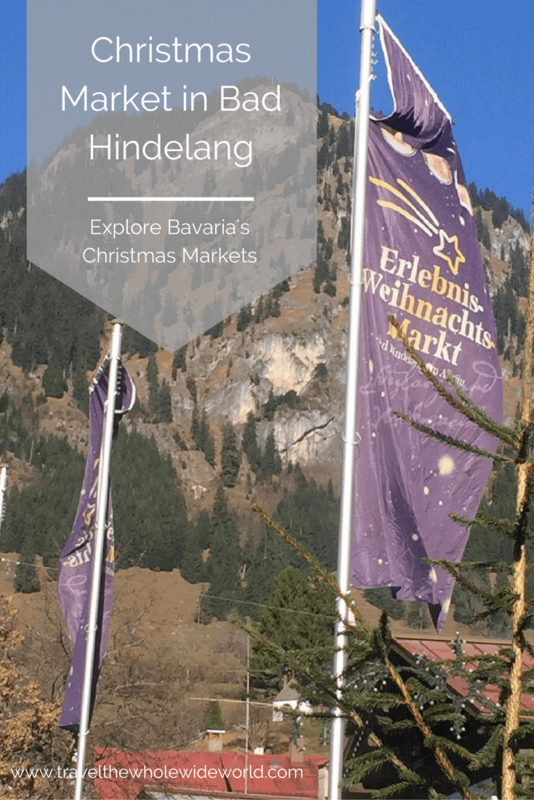 Parking is also located a bit outside of Bad Hindelang with free shuttle buses going to the Christmas market every 10 minutes or so. Definitely come with an empty stomach because all the food and drinks that they offer make it really hard to choose. 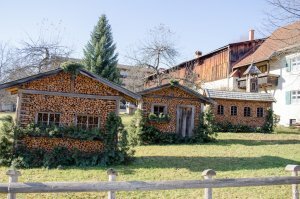 I’d always go for Kässpatzen which is a typical Swabian/ Bavarian dish made with spaetzle and lots of rather sharp cheese. It’s my favorite dish anywhere when prepared fresh (which they do). If you like meat better, you should try any kind of Bratwurst there. They had a spicy and long one with Kraut that looked delicious. Also, crepes or waffles are always a good choice for dessert. As for drinks, the standard choice would be Glühwein (alcoholic spiced wine) or Kinderpunsch (non-alcoholic spiced tea), but there are lots of other more fancy things like Hot Caipirinha or Hot Aperol Sprizz to name a few. Just be safe and don’t drink and drive. As you can see, we went on a wonderful sunny afternoon. The mountains were visible just great. Many arts & crafts are sold in these little booths. 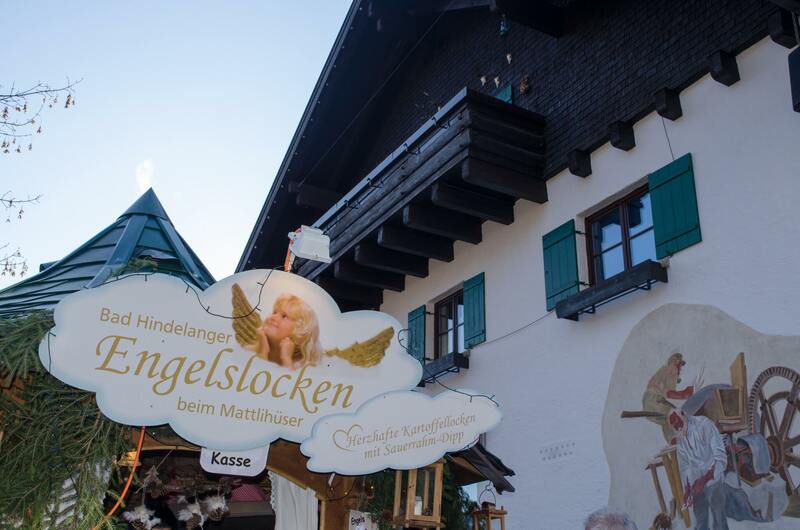 They made and sold Angel’s Locks: Basically deep fried potatoes that were shaped into locks. It looked delicious and the line in front of the booth was so long. Feel free to also check out their website for additional information! Christmas is right around the corner, just a month away! Have you started with your Christmas shopping yet? Each year I promise myself to start in October, plus to make a list of ideas for myself so that I can share my wishes with others. 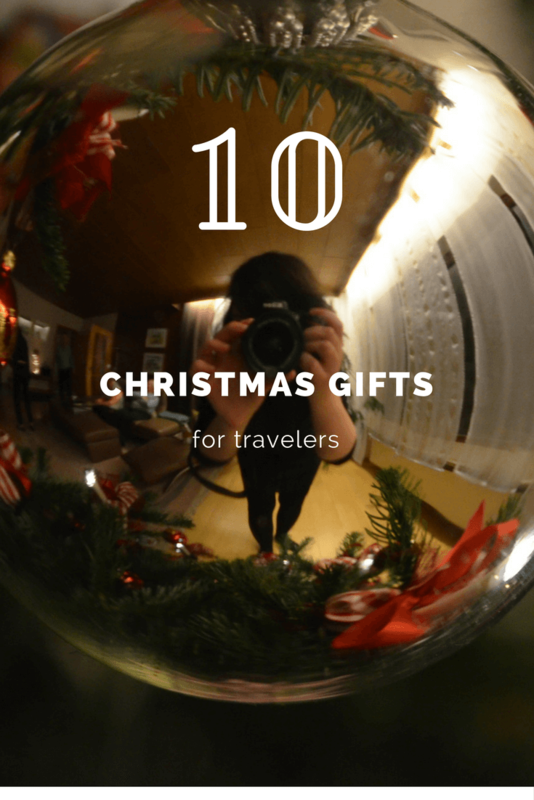 This year I’ll share my list of 10 Christmas gifts for travelers which mostly consists of things that I wish for myself or have wished for in the past. Maybe it’ll help you for yourself or a loved one who loves to travel as well! I got that one from Western Digital to save all my photos and memories during and after my trips. There is nothing more frustrating than losing all your pictures because something happened to your laptop. It is really tiny and easy to carry in your back pack when you are out and exploring new places which makes it one of the smaller Christmas gifts for travelers. Very often there is only little time to plug in your phone and charge it, so a power bank can do that on the go and save you from running out of power. I always recommend the travel guides by Lonely Planet, simply because I myself have trusted them for the last 10 years and collected an impressive library already. Their suggestions are always thoughtful and mostly accurate, plus they cover all kinds of budgets. If you know in advance of a future destination, a travel guide as a Christmas gift for a traveler can never be wrong. I own this one from Kalahari since 2013 and am not disappointed. I take it with me on all bigger trips and use it as my day pack with or without my DSLR in it. It has proven itself to be very durable! 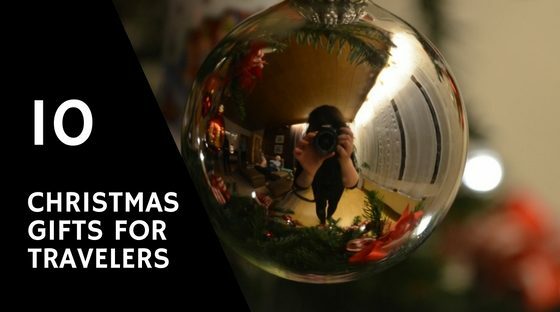 If you intend to spend quite a bit more, I promise you that accessoires for a DSLR always are great Christmas gifts for travelers. I myself had a new lens for my Nikon on my wishlist last year, because the one that I had, wasn’t great for taking on trips. It is a great help when you need to stay organized, not only during a trip, but also in everyday life. It fits most of the cables that you need for your laptop, cell phone or camera. When I’m not traveling, I simply use it for storage. It makes it easier to find everything. The NY Times 36 Hours in USA & Canada is guide with suggestions for shorter trips such as weekends! Very well made and with great ideas! The book or rather the series make great Christmas gifts for travelers! This bag is cabin approved, i.e. you won’t have to check it. It’s perfect for shorter trip such as a weekend city trip. I chose the bag from Karabar because it comes with a 3 year warranty! Plus, it really looks cute, don’t you think? I know, I know, these packing cubes from Eagle Creek look incredibly expensive, but I have tried them myself this year and I’d say that they were one of the best purchases that I made! They fit everything for a three week’s trip and they help so much to stay organized during the trip. They simply do their job very very well and they are very durable! If you liked playing with your parents’ polaroid when you were younger, you will love the Fujifilm Instax Mini as well and so will the person that you gift it to. Easy to handle and a lightweight, so the Fujifilm can be taken on a trip for these instant photos! All these things may seem random, but they are just not as obvious as you’d think. Still, it is mostly stuff that in my opinion everyone could use. So tell me now: What is on your list for this Christmas? Feel free to share it with me! How is the weather wherever you are? Still warm, sunny and all that summer-y feeling? 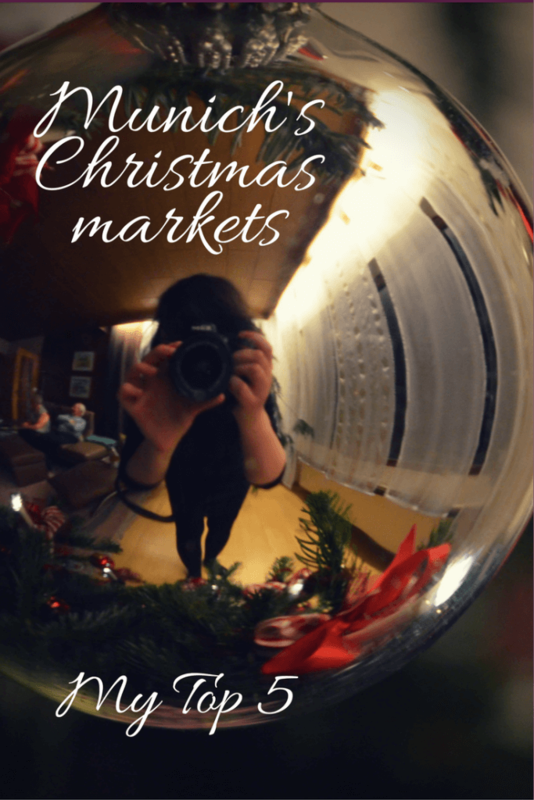 Well, then let’s get started with the first Christmas post for this year! 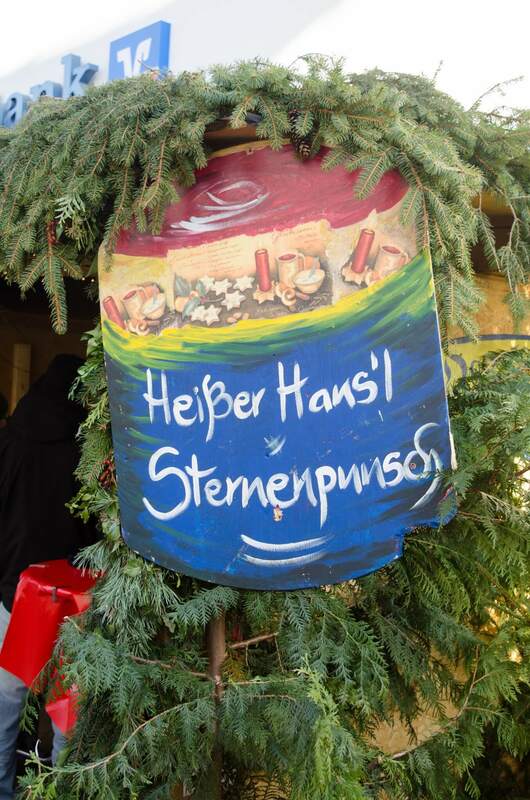 A few lovely ladies in the HPL Group on Facebook have been asking about Christmas Markets in Munich. Instead of writing all my little secrets into one private message, I decided to post on here. Even though this totally comes in between my last vacation/road trip post which is still in the making! 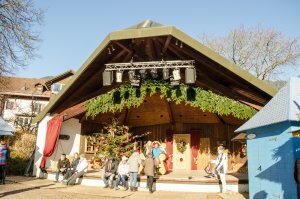 I’m sure there are more than five nice Christmas markets in Munich and it’s up to debate which ones are in the top five. 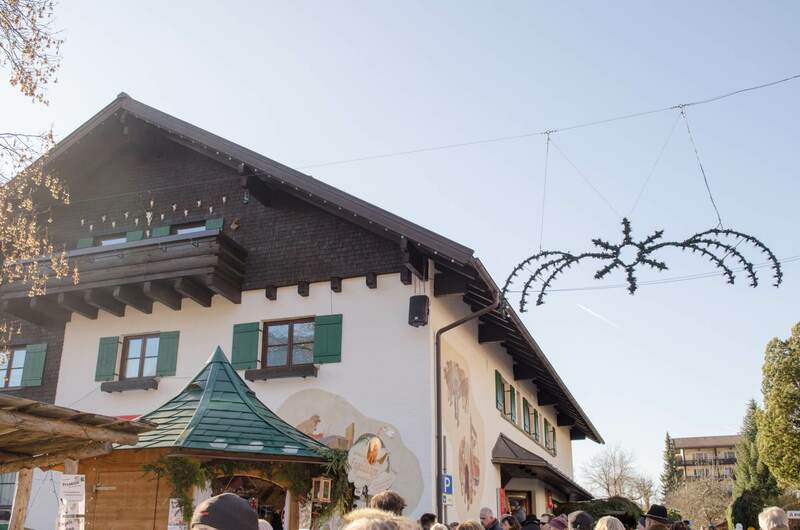 However, the Christmas markets that follow are my personal favourites, the ones that I try to visit at least once each year and the ones that I choose over the official Christmas market of Munich (in city center) which is crowded and full of tourists who don’t know better. If you are a tourist in Munich, choose wisely! 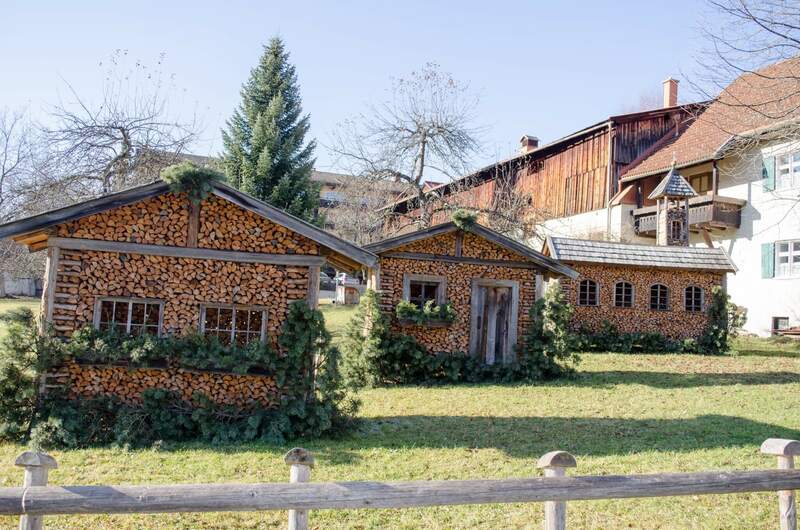 Technically, this isn’t an official Christmas market, it’s more than that. 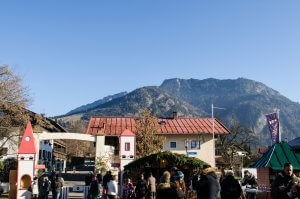 Winter Tollwood which takes place each year on Theresienwiese (Oktoberfest place) has its equivalent in summer – Summer Tollwood. It’s a festival with concerts, theater and a huge market that sells all kinds of food and goods. This year’s motto is “bewegt” (moved) and it deals with mobility and sustainability. I love to just walk around and look for Christmas presents there! This Christmas market has a very nice atmosphere, it’s located in Haidhausen on a circular square, so you will be able to get lost and walk in circles after a few Glühwein. Enjoy the lights there and watch out for locals enjoying their end of the work day! 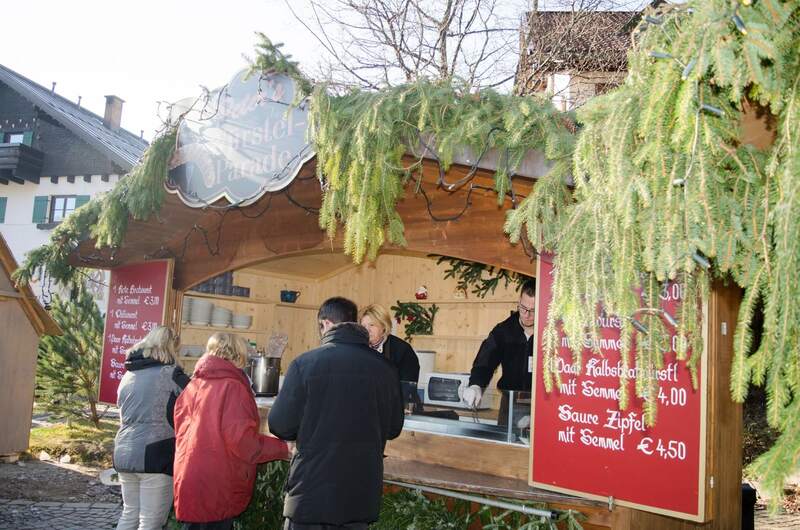 The Pink Christmas Market in Munich is a special place to be! 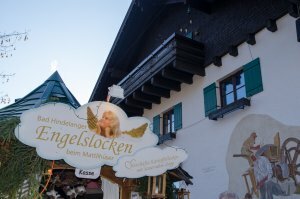 Organized since 2005 by Munich’s LGTB community, it’s a meeting point not only for the gay scene of Munich, but also for the entire community of the Glockenbachviertel! Granted, it’s small, but it offers a unique atmosphere and great food and drinks! 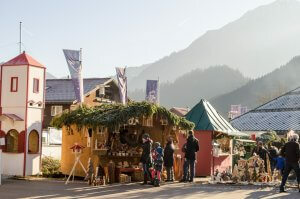 They say it is the second largest Christmas market but that shouldn’t scare you away. Of course, there are always lots and lots of people there, but in this case location is key. You’ll walk through a stone gate into one of the squares of the Residenz. Surrounded by the former royal palace of the Bavarian monarchs you will find exclusive sellers of arts and crafts and – of course – food. 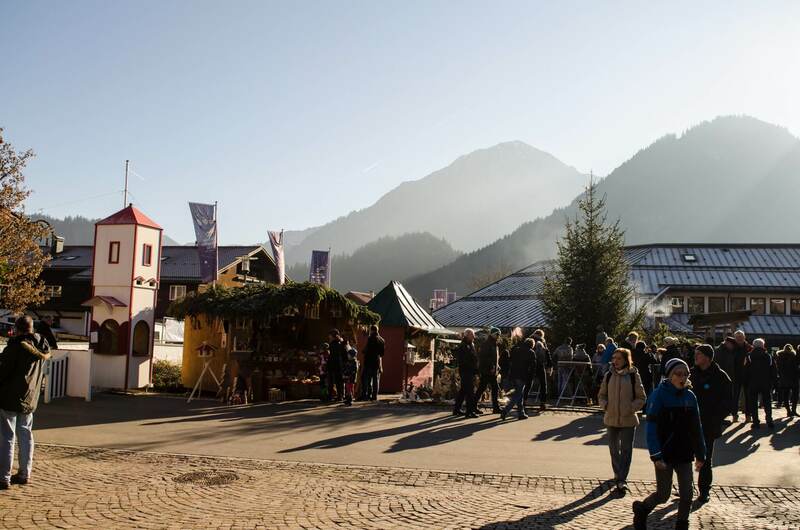 The medieval Christmas market is by far my favourite. I love to meet there with friends for some honey wine and a boar sandwich. It’s a special place to be, so different from most of the other markets. The stalls don’t sell your typical Christmas knickknacks, that’s very refreshing! 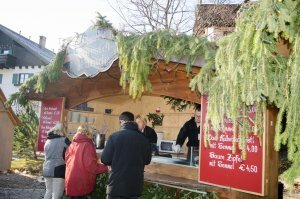 If you have time during your stay in Munich in December, make sure to visit at least one of the markets. My very special advice would be: Do a tour! Start at one of the markets for a little walk and then either take the subway or if it is not too cold, walk! That way you won’t feel bad if you eat and drink all of the good stuff! And make sure to drop me line which one you liked best or if I missed one that you really loved!